LOCATION, LOCATION, LOCATION! This beautiful townhouse is close to everything! Walk to the beach, grocery store, restaurants, bars, and shops!!! 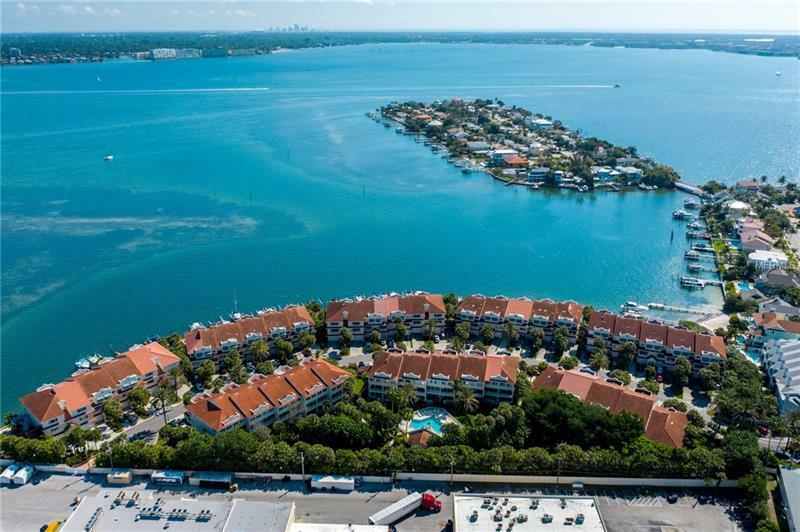 If you love amazing OPEN WATER views, this unit is for YOU! Three stories = three balconies!! It also has 3 bedrooms, 4 bathrooms, a fireplace, a wet bar, a huge master suite with 2 walk-in closets and it's ready to move right in! This unit does not have a boat slip, so if you don't want a boat, you don't have to pay for something you won't use! On the first floor, youâll find the wet bar and a great place to entertain your friends, a full bathroom, and of course, the garage. (Some owners convert this area into a fourth bedroom) The second floor is the heart of the home which includes the kitchen, a dining area, a living room with a fireplace, the third bedroom (or office), and another full bathroom. The top floor has the second bedroom, which has its own full bath with a jacuzzi tub, the laundry area, and the master suite with cathedral ceilings, two walk-in closets, and double vanities in the bathroom. St. Pete Beach is one of the top 10 beaches in the United States and you can own a part of it! New roof in December 2016, AC 2013, water heater 2018. Additional Water Information: This unit does not come with a boat slip. Copyright © 2019 Mid Florida MLS. All rights reserved. The data relating to real estate for sale on this web site comes in part from the Internet Data Exchange Program of Mid Florida MLS. Information provided is for consumer's personal, non-commercial use and may not be used for any purpose other than to identify prospective properties consumers may be interested in purchasing. DHM Real Estate Group participates in the MFRMLS Internet Data Exchange (IDX) program, allowing display of other MFRMLS broker's listings on this site. However may not include all listings currently available. Information is deemed reliable but not guaranteed. Information last updated at 2019-04-26 05:39:34.